Naomi Rawlings here, blogging for you today. I’m a Yankee through and through, just about as northern as a person can get. I live way up north on Lake Superior, where our winters are long and hard. For example, there’s two feet of snow sitting outside as I write this post, and between now and when this post goes live in a few days, we’re supposed to get another foot of snow. But today I’ve invited one of my friends to share some of her knowledge of Texas. 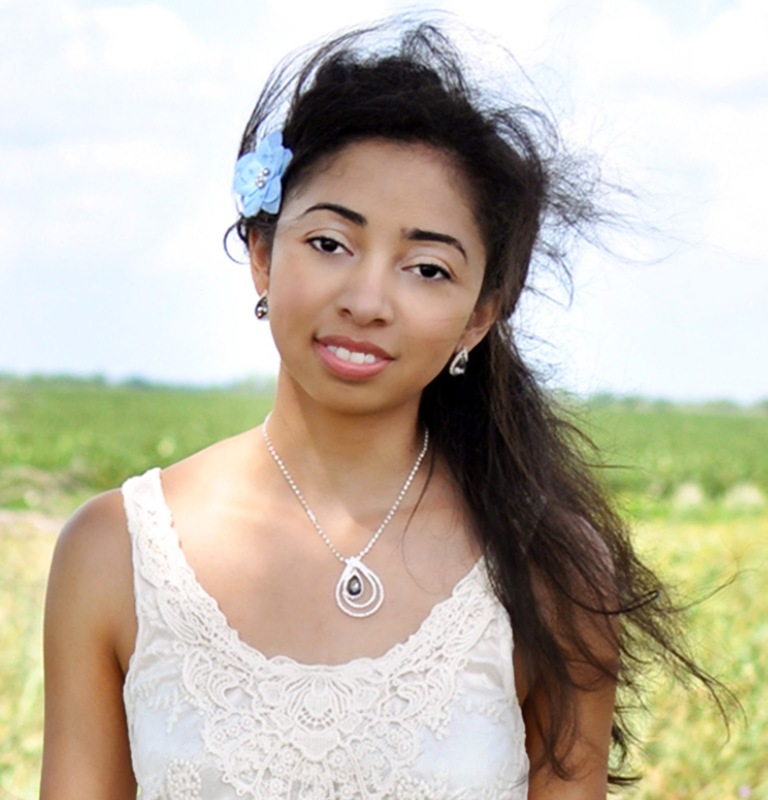 Noelle Marchand not only had a series of three novels set in Texas, she’s also lived her whole life there. And she’s going to share with us a few bits about those classic, dusty western towns. Welcome to Peppin, Texas! Deep in the heart of Texas Hill Country where wind and blue stretches high over the rolling tree covered hills sits a bustling little town where everyone is treated like family. The only entrance into Peppin is through the pages of my books (Unlawfully Wedded Bride, The Runaway Bride and A Texas-Made Match), but the essence of the town’s history and culture are very real. Many Texas towns set their foundations in the ashes of Reconstruction as war-weary families of the South endeavored to create a new life and economy. Most of them were impacted in one way, shape or form by a new addition to the Texas landscape—railroad tracks. Chartered in 1871, T&P Railroad’s purpose was to build a southern transcontinental railroad to stretch between Marshall, Texas, and San Diego, California. 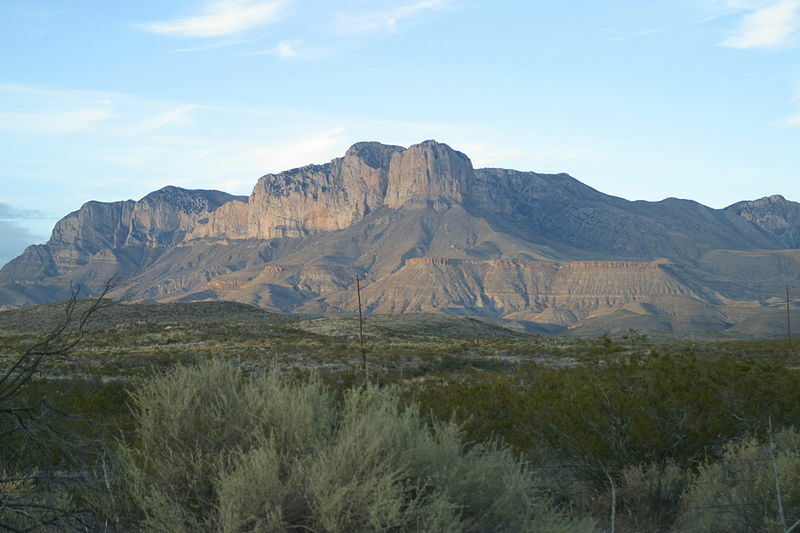 The idea was eventually abandoned and the railroad laid its final westward track in Sierra Blanca, Texas. Some of the towns it bypassed became ghost towns that still sit abandoned to this day. However, those fortunate enough to become a stop on the new railroad flourished into towns very similar to Peppin, Texas. I think this is so interesting, Noelle, because way up north, where I live, railroads had little to do with shaping towns. In fact, I’m working on a novel set in a real historical town along Lake Superior, and the town didn’t get a railroad until 1907. From its inception in the 1840s until 1907, Eagle Harbor Michigan was accessible only by ship, and only for eight months out of the year. Ice and storms made winter travel impossible from December through March. Thanks for stopping by to visit, Noelle. Noelle is also a back up blogger here on Christian Fiction Historical Society, so I’m sure you’ll be seeing more of her. In honor of her visit, Noelle is giving away one copy of her newest book, A Texas-Made Match. Please leave a comment below with an email address to be entered in today’s giveaway, and don’t forget about our month-long giveaway for a Kindle Fire. Each comment you leave gives you one chance at winning the grand prize. A Texas-Made Match: For Ellie O'Brien, finding the perfect partner is easy—as long as it's for other people. Now the townsfolk of Peppin want to return the favor. But how could Lawson Williams be the right choice? The handsome ranch foreman was her childhood friend, but he's the man Ellie deems least likely to court a tomboy with a guilty secret. Lawson can't help enjoying the town's efforts to push him together with Ellie, though marriage isn't in his plans. Yet Ellie's become a warm, spirited woman who could chase away the clouds of his past. And with a whole town on their side, they could claim a love as big and bold as Texas itself…. Hello ladies. Well, I am from good old California, where the winters aren't too bad and the summers can get pretty hot...although not as hot as Texas, I'm sure. Great post. Looking forward to hearing more from the both of you. God bless. How neat! I've enjoyed Noelle Marchand's LIH books! I can't wait to read Ellie and Lawson's story. Thanks for the chance to win! Enjoy reading the history of the states - born & raised in Ky., but have traveled to most of the other states & lived in Michigan & Tennessee. I agree I love historical books set in Texas! :) and I love visiting Texas! Interesting...."a big, guilty secret"....quite a tidbit to throw out! Thank you for the interesting post. Also thank you for the chance to win. I know it's a crazy hour to be answering this as I am in BC. I would like to read this book. My husband is a California native. I read historical romance as it is interesting how things were during that time and how different the peoples were from area to area. I would like to one day visit all the different areas I've read about. Thanks for the giveaway book, whoever wins will surely enjoy it. I'm from MI originally but now live in the south. Never been to TX, except in one of the airports on a layover on a trip to WA. Would love to visit TX someday. Maybe this book will have to suffice for now! I was raised in Ohio, now live in Denver, but my husband has Texas roots. His parents live in the middle of the state, just north of Austin, and let me tell you-- that Texas is a huge state to drive through! It just goes on and on! Your book sounds great, Noelle! Thanks for your post. In northern Alberta, the waterways were a big part of the history because of the furtraders. In later years, and in areas where farming was the mainstay of economy, the railway was very important, and still is, for farmers to get their crops to market. Fellow wintery Michigan native here! I realize I have said this on every post this month - but I really do love any kind of history, be it overseas or my own state. Thank you for this post! Texas history is so interesting. I've enjoyed visits to the capitol, the Texas History Museum, the Alamo, just to name a few places. Please include me in the drawing, Noelle's books sounds terrific. Thanks! Thanks everyone for stopping by! It's fun to hear where all of you are living and little tidbits about your own state history. My book coming out next January is set near Albany, NY. And as I studied the area, I learned that the city of Albany is not only one of the oldest cities in our country (dating back to the early 1600s) but that it was first settled because of its location on the Hudson River. Interesting stuff! Wow! It's so interesting to see how transportation has shaped different places in different ways and is still doing so today. It's strange how something so simple can have such a big affect on the lifestyle and future of an area. I love Texas but really want to visit other states. Michigan sounds beautiful. I've wanted to go there for a while now. Maybe one day this southern gal will make it North and actually do it. I've only visited Texas a few times and lived there for 6 weeks, when I was young. It does have much to offer a visitor, but it is a bit too hot for me to want to live there all year around. I do love the Texas history! Thank you for offering a copy of your latest book. That looks absolutely wonderful! I had no idea an attempt was ever made to link San Diego with Marshall. 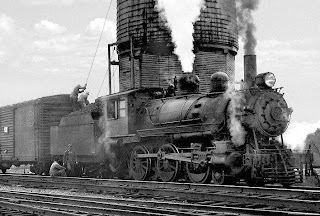 San Diego did eventually build a steam railroad, the San Diego and Arizona Railroad, in the late 1890s. You can still see some of the old engines and rail cars at Campo, CA, in its excellent railroad museum, which occasionally schedules train trips east from there through Carrizo Gorge. Please enter me for the book also. Thanks! I love Noelle's books and her last name...my maiden name is Marchand! I love her books because they are set in Texas where some of my family live and I love Texas and Texans! I would love to be entered to win her newest book as I haven't been able to find it yet. but then I live in a small town and the local WalMart has cut back on their Love Inspired line of books...two of each title and if you aren't there when they are put out, they are gone. Texas is a fascinating state. I've lived next door to it my whole life and gotten to visit many times. One of my favorite visits was in late March when I got to see the bluebonnets blooming. I've enjoyed using Texas as a setting for close to half of my books. I'd personally rather be where there is two feet of snow compared to dealing with spring pollen allergies and a lack of rain! :( I think whenever you've burnt yourself out of where your living, anything that could radically change your climate and seasons is a welcoming change! Therefore, I too, have always been entranced with Texas, but not for a change of pace, as Florida + Texas have quite a heap in common with each other,... but rather because Texas has a state of mind and a presence moreso than my own state, which is more bent on tourism and the beaches! We have hidden places of wonderment too, with tucked away small townes, but as far as an element of mystery and of a place that lends itself pause, I think Texas has a heap more to offer! :) Which is why I am always as happy as the next reader to drink in Texas in literary form! At some point, I want to dig into *Roses* because just hearing that its akin to Gone with the Wind was enough to draw me into a yearning to read it! Life by rail either for pleasure or business, I think improved tenfold when the rail lines came in! :) As like you said, if a towne was difficult to get access too, the rail provided the solution! One of my favourite bits to classic films are all the scenes on trains -- from the dining cars to the sleepers, it was a very unique way to travel and the tempo of everyday life was set differently than those who flew. Thanks for offering a bookaway! I love discovering new-to-me authors and their stories! Thanks for sharing, Jorie. And anytime you want to head north to snow-land, you'r more than welcome in northern Michigan. Oh, and we have beaches here, miles and miles of beautiful ones on Lake Superior. But the water is a whole heap colder than Florida water! Beautiful cover, thank you for the chance to win this book. I would love to read this book; it sounds great. Thanks for having the giveaway. I moved here near Houston, Tx. from a very small town in KS. In fact, it is listed in some of the Ghost Town books. It only had a small cafe when I was there. My husband grew up there. The train played a big part in it's history. The cowboys on the cattle-drives brought their herds from Tx, to Elgin, Ks. to load on the train to ship to different places. There was a large vat spot in the ground filled with something to kill Ticks, and the cattle were driven through that before they were allowed on the train. I lived across the street from where the vat had been. There was still a low spot there. Elgin was one of those small towns that died after refusing to let the main high-way go through that town. So then people quit coming through their and stopped in other towns. It had a big population at the time of cattle-drives. A lot of rough and tumble activities too. Maxie mac262(at)me(dot)com I thought I had commented on here earlier, but can't find it. Interesting. Thanks for the bit of history! late replying. I dont know how you can cope with the long winters and all that snow. I would go mad! I am not looking forward to winter. We do need rain but I wonder how it will affect me going walking in the mornings. In Australia the states didn't work together and we ended up with different states having different gauges. Which meant when the train got to the border you had to change trains. It has been fixed now but it was an issue for a long time. I am from Indiana and like Naomi I am fascinated with the south. I would love to be able to visit places that can make the history real for me. Perhaps, someday that will be a dream come true. For now, I just read the wonderful stories that surround the south. Reading does open up a whole different world, now doesn't it? I personally have a book series started that's set in northwest France. Having never been to any part of France, I'm terrified that I'm getting the terrain wrong. I research it of course, but I just know someone in France is going to pick up my novel one day and think "She doesn't have a clue." I'm not trying to be clueless, though. And yes, to write a southern novel, well, I could research the terrain, but I just don't think "Southern." I do have a story with a cowboy hero, but he's from Wyoming, not Texas. I really don't think I could pull off a Texas story. Sigh . . . I pass over the railroad three times on my way to school. It is terrible. Love the history! The town I live in (in Montana) started out in the late 1800's as a mining town but moved 15 miles to its current location because the railroad came through. I live in a big copper mining area, Jasmine. (Or at least it used to be a big mining area. Now most of the mines are closed.) I've heard about mines in MT, but never been. But the more I learn about mining and history, the more I think I need to write a copper mining book. There's a lot of gold rush books, but no one ever touches on the other things mind besides gold. 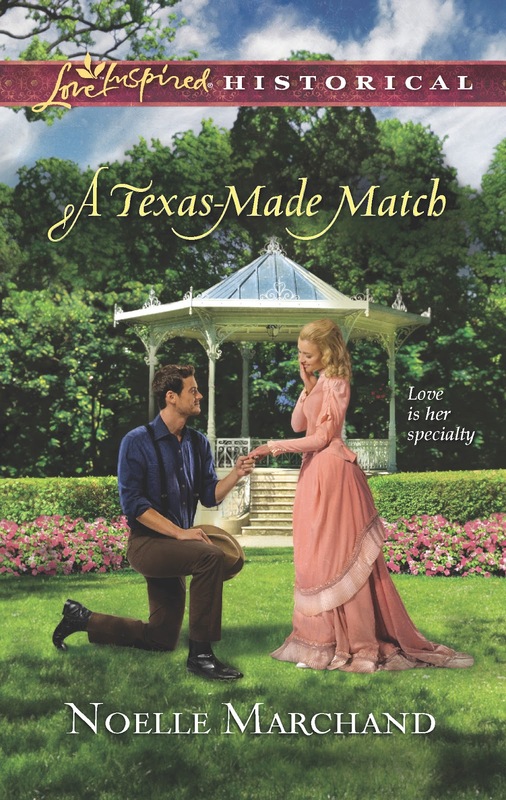 Congratulations to Eliza Elliot, who won today's copy of A Texas-Made Match! And thanks to everyone else for stopping by to comment.